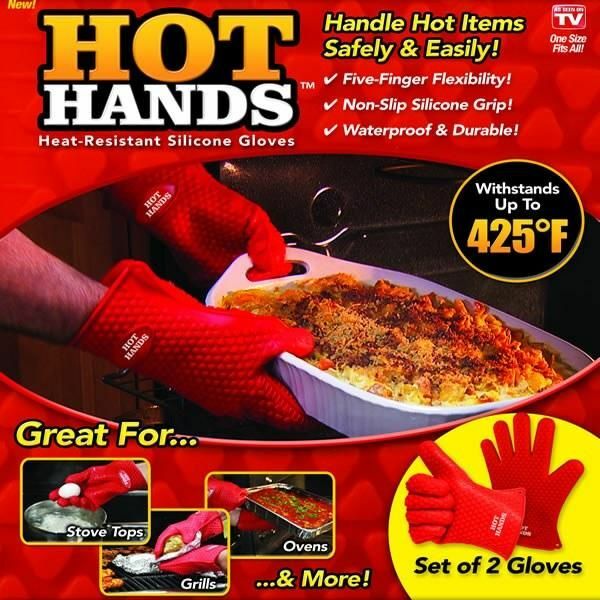 Hot Hands Gloves are a quick and easy way to cook many different kinds of meals. With them you can grab flip and shred hot meats/ veggies/ seafood and more that much faster and easier. Reach into hot water and ovens. 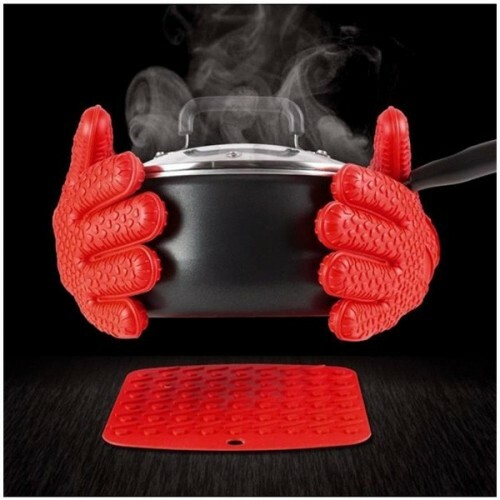 Grip pots/ pans/ skillets/baking trays and more. 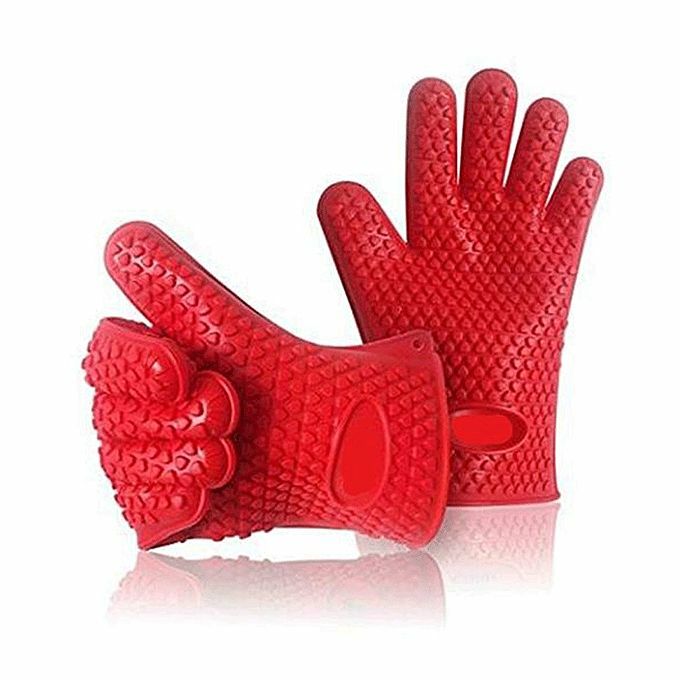 These heat-resistant gloves are made from silicone and feature a five-finger non-slip grip that makes grabbing smaller items easier. They are fully flexible waterproof and easy to wash and reuse.